My friend Rachel, who is an amazing cook, whipped up this marinara pasta sauce for me one day from scratch in the same time it took to boil water and cook the pasta. No secret recipe simmering on the stove for hours. No careful balance of sugar. 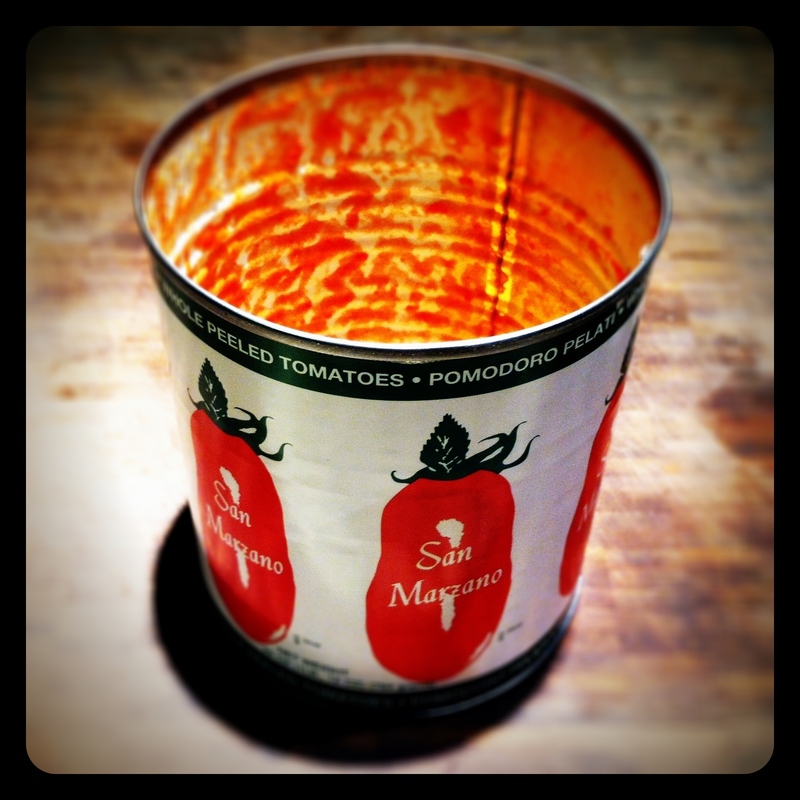 Just a can of tomatoes and a few ingredients you can count on one hand. And it was the freshest, most delicious pasta sauce I’ve ever tasted! 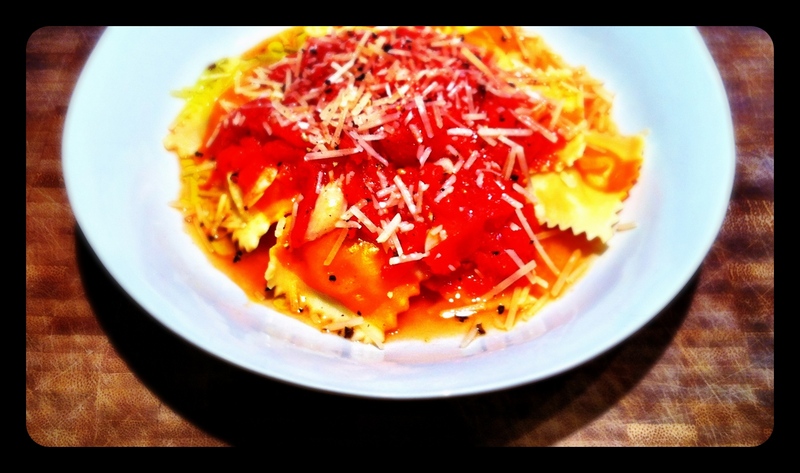 Rachel credits Lidia Matticchio Bastianich with this recipe, and I found this one here which is very similar. But the fresh basil, or any Italian herb, is totally optional in my experience. Over medium heat in a medium sauce pan, heat the oil and add pepper flakes and some fresh ground pepper. Season the oil for a minute. Add the garlic and season the oil for another minute. 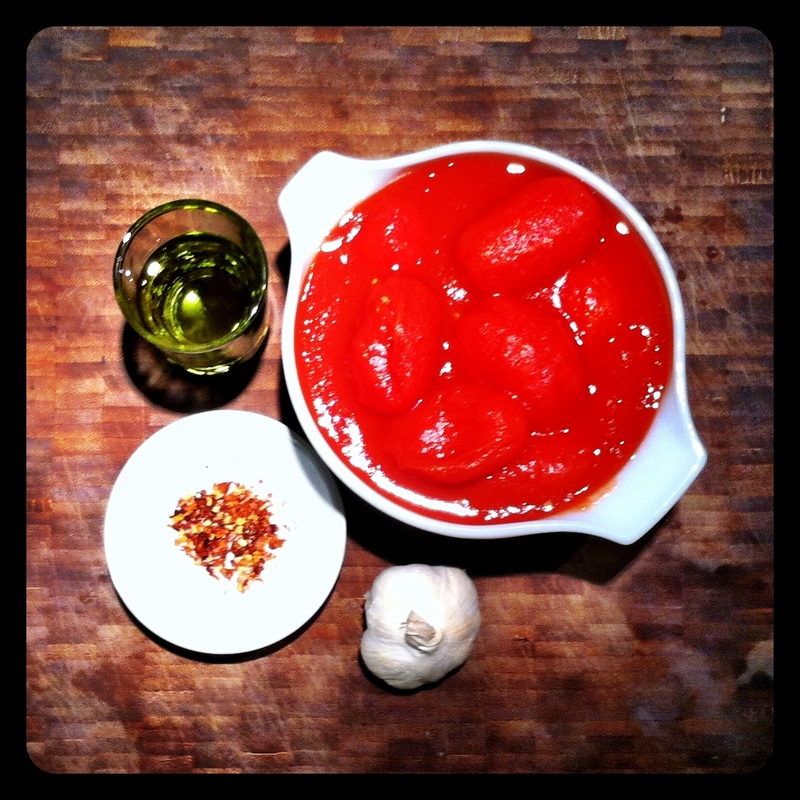 Add the San Marzano tomatoes and use a potato masher to mash them and stir all ingredients. Careful, they can squirt. Add a little of the tomato juice from the can and/or additional oil if you wish. Reduce heat and simmer until the oil separates (about the time your pasta is ready!) but stir and continue mashing the tomatoes occasionally. Season with additional pepper and some salt. If you want to add fresh Italian herbs, they make a perfect garnish.